Start a School of Ministry – At No Cost! The art of biblical meditation, which is far deeper and more engaging than Western study. Meditation involves your heart utilizing both hemispheres of your mind. A review of how to hear God’s voice, which allows the Holy Spirit to be at your side guiding and illuminating your heart and mind as you examine Scripture. Use of an electronic Bible research software package, which allows you to explore the Bible in-depth, conducting comprehensive, contemporary research from the original Hebrew and Greek. You are going to have fun and get truly excited as you discover how easy and addictive biblical meditation can be! Have you hungered for verses to leap off the pages of Scripture? I’m sure you have. It is a wonderful, heartwarming experience, but for many it happens all too infrequently. What if I told you we can clearly define how you need to posture your heart to ensure this occurs easily, readily and daily during your devotional times. Do you believe this is possible? I know that it is, because I experience the quickening of the Spirit through Scripture daily, and have for many years. I believe the Bible is meant to be lived. I am so eager to explain to you how you can have the spiritual experiences described in Scripture. Jesus, by the Holy Spirit, is still walking by your side down the road of life, and He passionately desires to open His Word to your understanding, daily! As a bonus, we will show you how to easily conduct a complete concordance search of all verses on a topic, effortlessly discovering Hebrew and Greek definitions of all key words while continuously being guided by the Holy Spirit. Isn’t it time to receive fresh revelation? Isn’t it time for another reformation which can transport the Church into the fullness of Her glory? You can be a part of this experience! Let me show you how. Good morning, Mark. I love you and want to spend time with you today. Today we need to explore biblical meditation from MY point of view, not yours or anyone else’s. From My point of view, this is a way for one to immerse themselves in the works and acts I have done in the past and allow Me to reveal to them the works and acts I want to perform currently in their lives. It anchors them firmly in the history of My dealings with mankind, while allowing them to move forward and experience their own encounter with Me in their own lives. This is My heart. This is My longing. To walk with My children today, to live with them today, to speak with them today, to empower them today, to deliver them today, to heal them today, and to bless them today. I want to do all these things TODAY with My children if they will but let Me. They need to believe that I am the same yesterday, today and forever, and then they need to step out in faith to meet with me and receive from Me all that I want to give them. For without faith it is impossible to please Me. Without faith, nothing happens. Faith is the lubricant of My Spirit. With it, all things are possible. All things move. Without it, everything grinds to a halt. So encourage faith, nurture faith, for without it, there is nothing. Whatever is not of faith is sin. Faith is that which overcomes the world. Live in My faith, My gift of faith. Ask for it. Receive it. Experience it and create with it. It is My gift to My world. Enjoy it, saith the Lord of Hosts. Enjoy My gift to you. Do not renounce it. Do not cast it away, for it has great benefit if you hang on to it, saith the Lord of Hosts. So stand strong in faith. Believe in all that you read in My Scriptures, and know you can do it all, especially as you allow Me to lead you day by day. Behold I have spoken. Behold it is to be done. This is biblical meditation: Seeing, hearing, receiving and doing. Note on the above journaling: We teach how to do the kind of journaling illustrated above in the module Hearing God’s Voice. If you are not yet skilled in this art, you can begin with that module. You would think that all Bible study would be good, wouldn’t you? I sure did. However, I left Bible College the same way Paul left his Bible school training: I used Scripture to come against and attack those who disagreed with me. I thought I was doing God a favor. I eventually had my own blinding encounter with God, as did Paul in Acts 9 and I re-evaluated everything I had been taught (as Paul also did). How can Paul possibly consider Bible study as dung??? Paul brashly states that his Bible study was manure (Phil. 3:8)! Wow! Anyone here want to claim that verse for their past Bible study? I don’t think I want to, but that is the verse that applied to the way I used to approach the Bible. I studied it the same way the Apostle Paul did. I used my mind to construct theologies, and those who did not agree with my theologies needed to be eradicated, removed and stoned! Ouch! So what’s better than rational Bible study? The answer is, “Biblical Meditation.” In our Spirit–life module, The Art of Biblical Meditation, we will explore the Hebrew and Greek definitions of the six words translated meditate and meditation. We will look up all 60 verses which contain these Greek and Hebrew words, with the passionate cry in our hearts, “Lord, teach me how to properly meditate on Your Word so You can reveal Yourself to me through Scripture.” This will be an eye opener, as well as a heart opener. You will discover how to posture your heart and your mind so that God can and will speak to you daily through illumined Scriptures (Scriptures leaping off the page and directly into your heart). We will restore the Holy Spirit to your Bible study process, and by doing so, transform it into Bible meditation. We will also train you how to download and use e-Sword, a free Bible software program that has been downloaded over 25 million times in 240 countries making it the most popular Bible software program available. E-Sword makes it effortless to discover the exact meanings of words in their original languages, and to find every verse in the Bible which has that specific Greek or Hebrew word in it. Wow! All this at the touch of a button! You can even copy and paste all research into a summary file as you move along. We will guide you in completing a meditation on the topic of “Biblical Meditation,” using e-Sword, to make the research a snap. Then we will let you review our meditation on Biblical Meditation so you can compare your insights with ours. Finally, we will coach you in doing a Bible meditation on a topic/area God is asking you to master. So what exactly will I receive as the result of meditating on Scripture? Breakthrough! That is what I experience when I take three months to a year and meditate on a topic. God gives me a breakthrough in my life and I experience His Promised Land blessings for that area. The first time I did this was in 1979 and my breakthrough was how to hear His voice. I had been stuck for ten years, not being able to identify God’s voice within. During that one year of focused research on how to hear His voice, He taught me it was easy as: 1) quieting myself down, 2) fixing my eyes on Jesus Who is at my right hand, 3) tuning to His voice which is generally experienced as flowing thoughts, and then 4) writing down the flow of thoughts which I am receiving (stop, look, listen, write). I also discovered in 1979 that by focusing for a year on an area where I was stuck, I could get my breakthrough. Now, I have written over 50 books which are the discoveries from about 47 years of meditation breakthroughs. These breakthroughs are available as Spirit-life training modules! 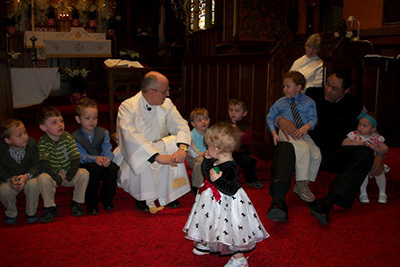 I am a passionate teacher in the Body of Christ. Below are yearlong meditations God has taken me through, which have transformed my life and which are now set up as three-month revelation-based training experiences, allowing you to experience similar breakthroughs in one-quarter the time they took me! Read amazing testimonies here. Revelation is transferred through these Spirit-life modules! Each module from School of the Spirit is available individually at only $99 or $197 each… or save $967 if you purchase the full set of 18 core modules for a one-time price of just $1795! Just click the button below to purchase this single module or click here to discover all 18 modules. How much would you pay to get your own personal breakthrough? We are going to guide you in doing a complete examination of a topic God directs you to – Do you believe that your own exhaustive exploration of a biblical theme, exploring precise Greek and Hebrew definitions while under the direction and illumination of the Holy Spirit, could give you a leap forward in an area where you need a breakthrough? Ensuring you receive a freshly-revealed word from God – Isn’t receiving a Spirit-breathed word from the Lord better than living out of rules and laws? Jesus said, “My rhemas are life” (Jn. 6:63). Jesus lived out of His Father’s voice (Jn. 5:19,20,30). We are to live out of daily conversations in the Garden. Confirming your discoveries with your three spiritual advisors – As long as you submit your discoveries to your three spiritual counselors (2 Cor. 13:1), you are sure to not be running in vain, but you are running to win the race that is set before you. Being guided by a coach who is ahead of you – It is priceless to have a coach who knows the terrain, has already walked the path and can define the steps and guide you, assuring that every move you make is effective and not wasted effort (Prov. 11:14). How much more of your Promised Land do you believe the above four ingredients will provide to you? How much is that worth to you? Our No Risk Guarantee – Experience “Lesson One” Absolutely FREE, right now! We provide Lesson One of our foundational course, Hearing God’s Voice, free of charge so you can discover for yourself if we are offering some stuffy armchair theology or real, down-to-earth, practical, engaging, life-transforming truth. Didn’t the free sample convince you this is better training than anything you could have imagined? 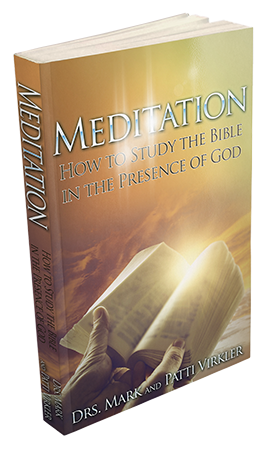 We guarantee you will learn how to conduct your own Bible meditations! We can teach you in just three months what it took me a year to learn because I have gone ahead and prepared the way. You can choose to use your devotional time to complete these spiritual exercises as they are fully prayerful in nature, and God will be speaking to you through them. My daughter and I even co-host an online forum where you can come and post your questions and get answers. As you get started, you can share your journaling so we can confirm if you are on the right track and it is indeed God speaking to you. We will become personal coaches to you during this three month training experience. Look at ALL you will receive in this interactive Spirit Life Training Module! e-Sword – The number one Bible software program in the world, having been downloaded more than 25 million times in 240 nations. Personal Assessment tools are provided throughout the course so you can confirm that you have internalized and mastered the key skills taught in the each lesson. This guarantees life-change! A priceless benefit, but we will limit it to $197 value. Team up and focus with a coach at your side. Experience your Promised Land! There is no easier way to grow than to get into a group of like-minded people, and focus intently for three months, under the direction of the Holy Spirit and a coach who is ahead of you in the area you are pursuing. A cord of three is not quickly broken. You support one another through the training process and by “focusing intently” you become a doer of the word and not a hearer only (James 1:25). Now life is joyful and I am moving forward to experience my promised land. No one wants to die in their wilderness, so make sure you are taking the proper steps which will allow you to experience your promised land! We train you how to conduct comprehensive in-depth Bible meditations, searching out the Greek and Hebrew meanings of key words, looking up all verses on a topic, and journaling about them. You discover all God wants to reveal to you concerning the area and then experience your personal breakthrough. All for ONLY a $197 investment! Make TODAY the DAY of YOUR Breakthrough! Lesson Twelve - How Has This Course Impacted Your Life? Includes 320 pg. ebook, 30 pg. eworkbook, 13 MP3s, 13 video downloads, 5 CEUs, and more! Includes 5 ebooks, 3 eworkbooks, 66 video downloads, 70 MP3 downloads, 25 CEUs, and more! + Your Extraordinary Life – included as a bonus module free! Almost Finished: Choose Your Discount. Includes 2 ebooks, 12 MP3s, 12 video downloads, and more! Get access to 9 of our top Spirit Life Modules and save over $480 now compared to buying individually. Includes 2 ebooks, 25 MP3s, 25 video downloads, 5 CEUs, coaching and more! Includes 146 pg. ebook, 51 pg. eworkbook, 13 MP3s, 13 video downloads, 5 CEUs and more! Covers Joshua – I Chronicles, includes 2 ebooks, 12 MP3s, 11 video downloads, 6 bonuses, 5 CEUs and more! Includes 1 ebook, 5 eworkbooks, 54 video downloads, 55 MP3 downloads, 25 CEUs and more! Includes 2 ebooks, 12 MP3s, 11 video downloads, 5 CEUs and more! Includes 6 ebooks, 54 video downloads, 55 MP3 downloads, 25 CEUs, and more! Includes 2 ebooks, 1 eworkbook, 4 video downloads, 4 MP3 downloads, 5 CEUs, and more! Includes 5 ebooks, 1ebooklet, 2 eworkbooks, 26 video downloads, 26 MP3 downloads, 20 CEUs, and more! Includes 11 videos, 1 ebook, 1 MP3, 5 CEUs and more! Includes 1 ebook, 1 ebooklet, 3 video downloads, 3 MP3 downloads, 5 CEUs, 3 bonuses, and more! The Supernatural Living Certificate Four modules valued at $396 for OVER 50% OFF! Includes 5 ebooks, 1ebooklet, 2 eworkbooks, 26 video downloads, 26 MP3 downloads, 20 CEUs, 3 bonuses, and more! Offer Ends May 5th at Midnight! Covers Acts – Colossians, includes 2 ebooks, 11 MP3s, 11 video downloads, 8 bonuses, 5 CEUs and more! New Testament Scholar Certificate Three modules valued at $297 for OVER 50% OFF! Includes 1 ebook, 3 eworkbooks, 31 video downloads, 31 MP3 downloads, 15 CEUs, 8 bonuses, and more! Offer Ends March 13th at Midnight! Take Advantage of The Biggest Discount We’ve Ever Given On Our Courses. Get Access To The Supernatural Living Certificate (4 Courses valued at $396) For OVER 80% OFF! Get Your Diploma in Applied Spirituality! (All 18 Courses valued at $1,782) SAVE OVER $980! *Your Purchase Today Is Covered By A 60-Day Money Back Guarantee. Don’t Like This Package For Any Reason, Simply Ask Us For Your Money Back, No Questions Asked! Offer Ends November 10th At Midnight!